It’s a quiet Sunday August morning in Barcelona, Spain. That is, until I’m woken up by the sound of a brass band! I stumble over to my balcony to see a street full of people, scantily clad dancers, and a band pelting out some great tunes. A rushed coffee later, I get down into the action. 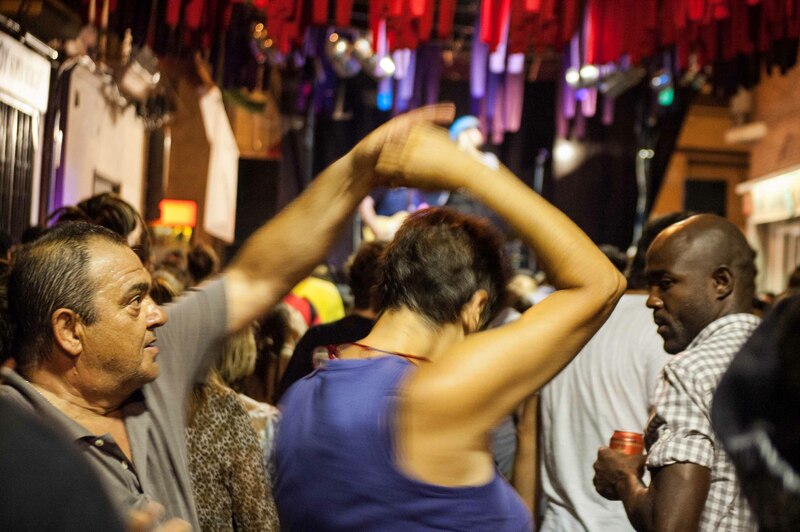 So begins another Festa Major — this time in my district: Sants. 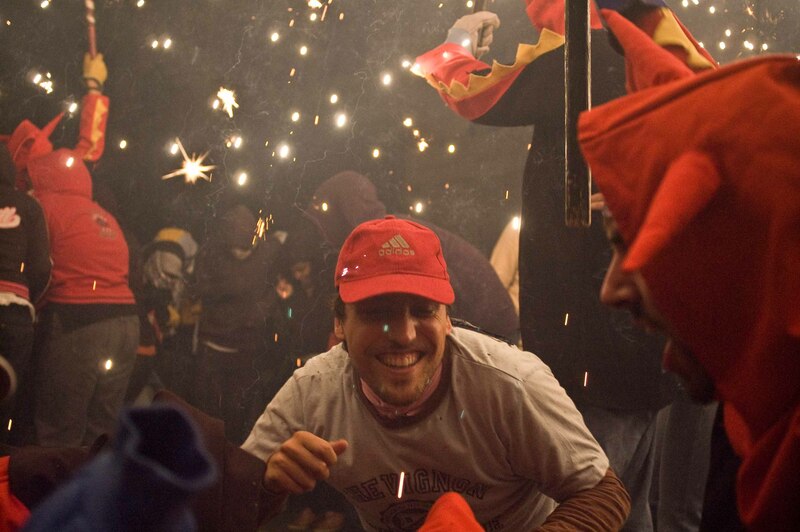 The Festa Major is the traditional annual summer festival in the state of Catalonia. It’s to celebrate the community’s togetherness and tradition. It’s celebrated in cities, towns, districts and villages. 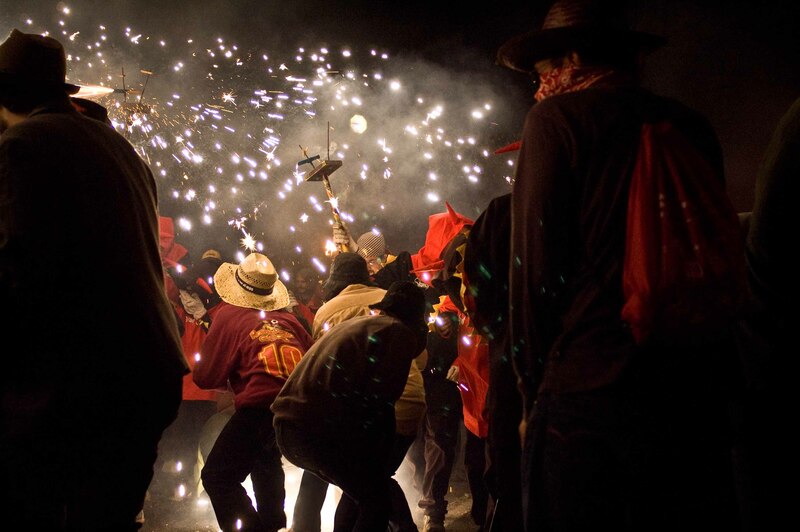 In Barcelona, it’s celebrated in the various districts, like in Sants. 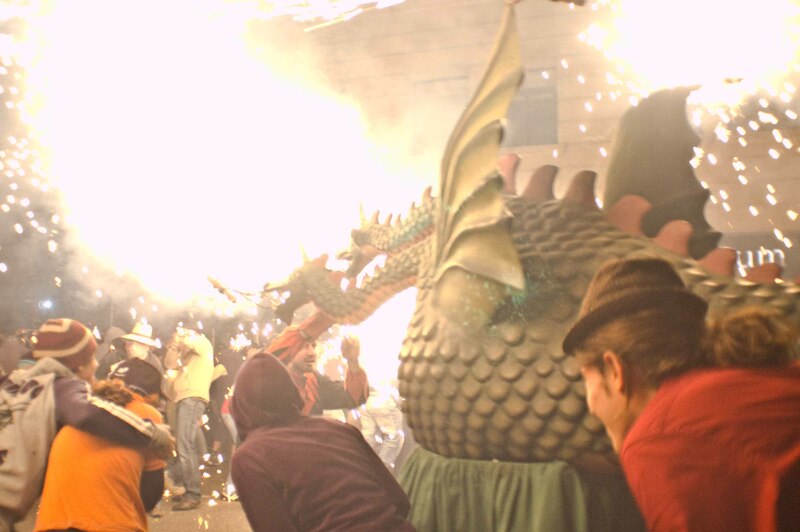 Activities could include concerts, castellers (human pyramids), Correfoc (fire runs), community dinners, and much more. Each festival goes on for a week, and when one ends, another begins. I’ve lived in India and the US and partied tons, but this is one big step up. 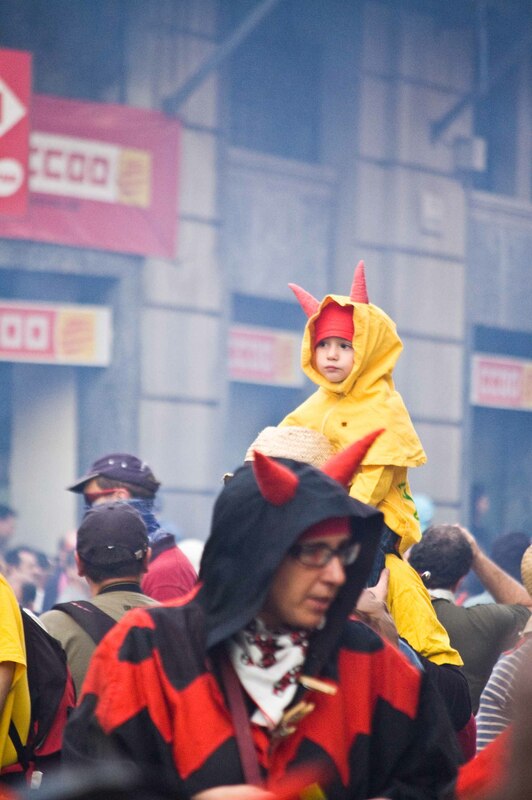 The festas of the districts of Barcelona eventually give way to the biggest festival of the year, La Merce, Barcelona’s festa major. It’s a crazy party that brings in droves of people from around the world. 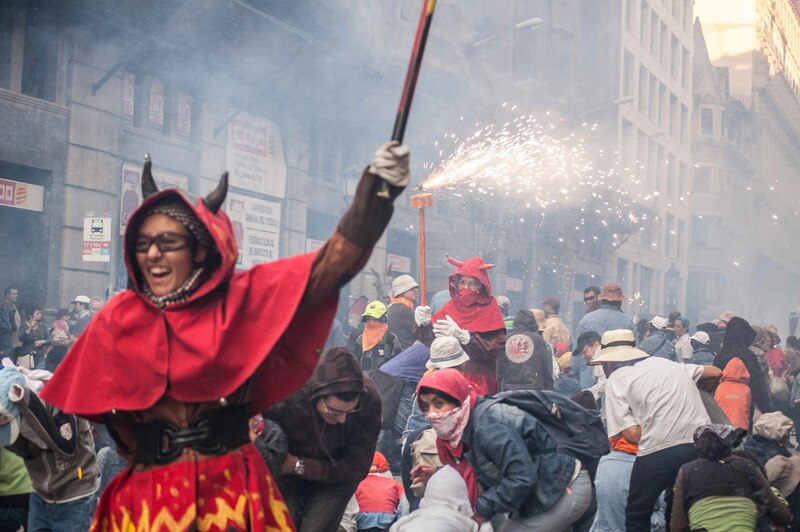 Here are some pics from the Correfoc — there’s a ‘child friendly’ fire run during the day, and then it picks up big time in the night for the adults! 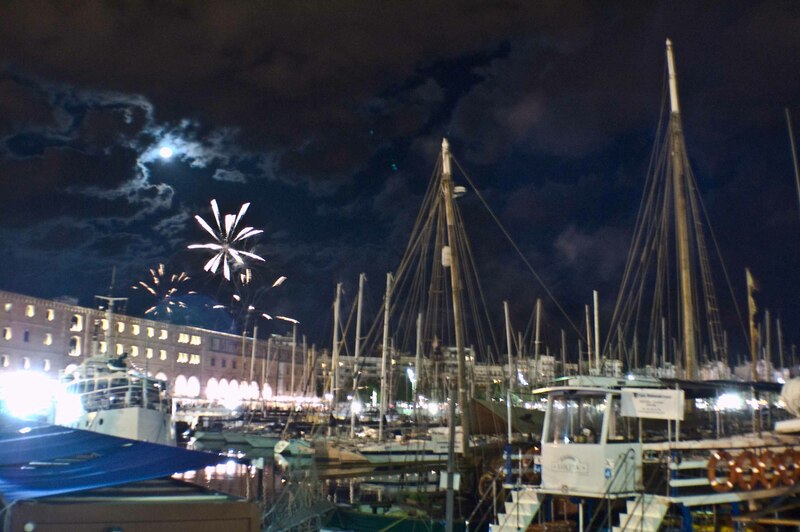 The festival finally ends with spectacular fireworks over the Mediterranean. I almost made it to the beach, but scurrying for cover trying to get through the Correfoc only got me as far as Port Vell, the old marina! Here’s another take on these celebrations. I’ve been interested in the Responsible Tourism Space for some time now. Essentially, responsible tourism speaks about maintaining and building on the quality of life for locals in the face of tourism, rather than the opposite. However, in Barcelona, tourism affects local life adversely in many ways ranging from locals not being able to afford to go out as often as before, to rising real estate prices pushing locals out of some of the nicer neighborhoods. My flatmate, Enric, is a Catalan who grew up in the district of Gracia, a village of artisans annexed by Barcelona in 1897. 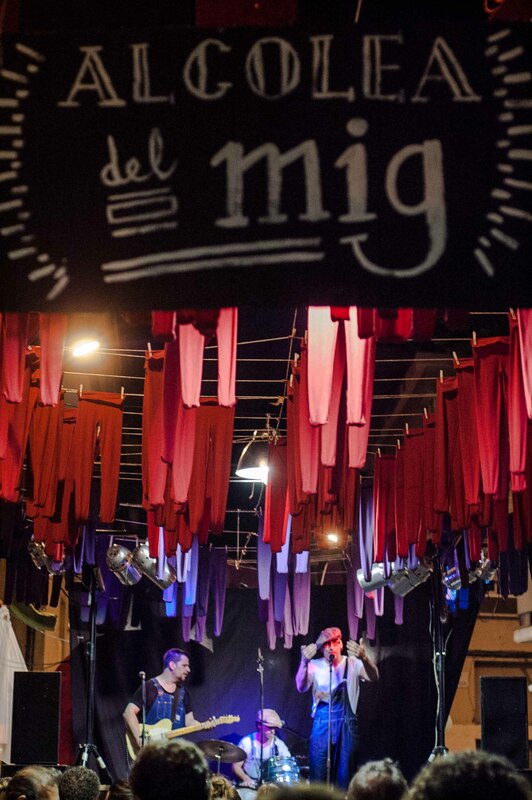 Enric has, over the years, seen Gracia go the way of other major districts, being taken over by expats, pushing out locals. 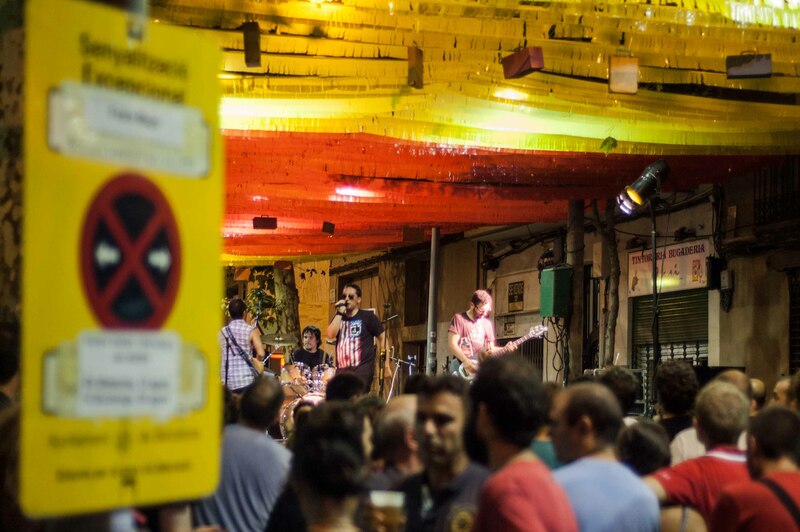 This is reflected by the Gracia Festa Major, a massive party, but overrun by tourists, diminishing the object of the Festa, a celebration by the community, for the community. We now live in Sants and I was pleasantly surprised at how much more local and real it felt. He said to me, “Yes, this is how Gracia used to be 20 years ago; we’ll just have to wait and see how things turn out”. 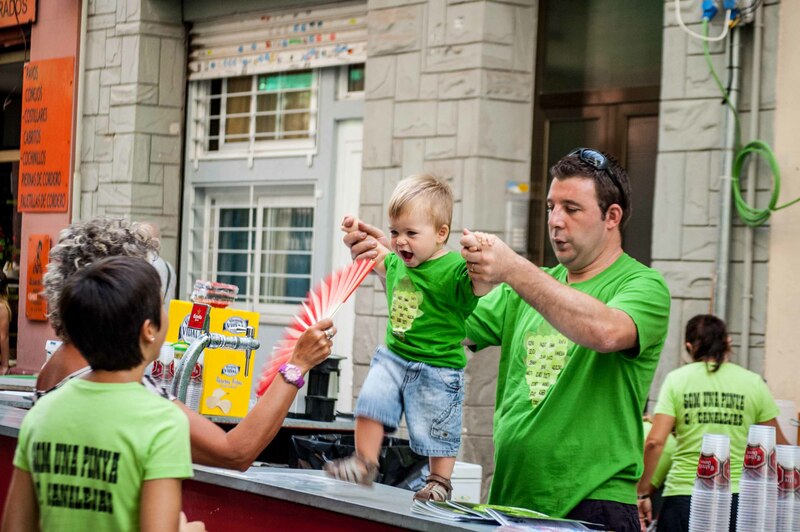 I hope warm community moments like in this last picture will continue to happen in Sants for a long time to come. Fingers crossed! Well done Uday! Lovely pictures and very nice report on what you feel and you see about the places you are living and experienceing. I really appreciate your aim to work on the field “Responsible tourism speaks about maintaining and building on the quality of life for locals in the face of tourism, rather than the opposite”. You should come back to Sardegna and try to explain this main concept to the ones that still don’t get it as fundamental.. Good luck!